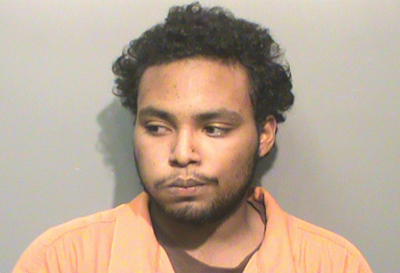 An Iowa man yesterday assaulted his pregnant wife with a McDonald's McChicken sandwich during a dispute in their Des Moines residence, police say. Marvin Tramaine Hill, 21, allegedly became upset when his spouse arrived home with “a McChicken from McDonald’s for him to eat prior to them going to their ultra sound for their unborn child,” according to a police report. 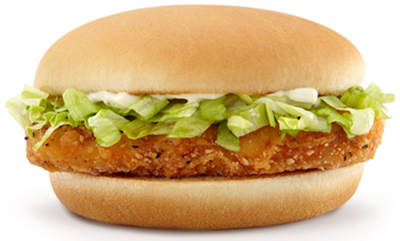 Hill told cops that he does not like McChicken sandwiches, “so he threw the sandwich” at his 21-year-old wife. He then “picked up the bun and threw it at her again.” Elle Hill told police that her husband smashed the bun in her face. Police noted that Elle Hill “had mayo on her shirt and face” when first contacted by an officer. Since he was judged the primary aggressor during the incident, Hill (seen at left) was arrested for domestic assault and booked into the Polk County jail, where he remains locked up without bond. A Des Moines Police Department report notes a “mc Chicken” was the “tool or weapon used” during the crime. In addition to the baby on the way, the Hills are parents to a two-year-old daughter.